Avocado – Avocado is miracle ingredients for strong, healthy fast hair growth. Avocado is works wonder on hair it is richest source of biotin. Biotin is most popular vitamins for healthy and faster hair growth. 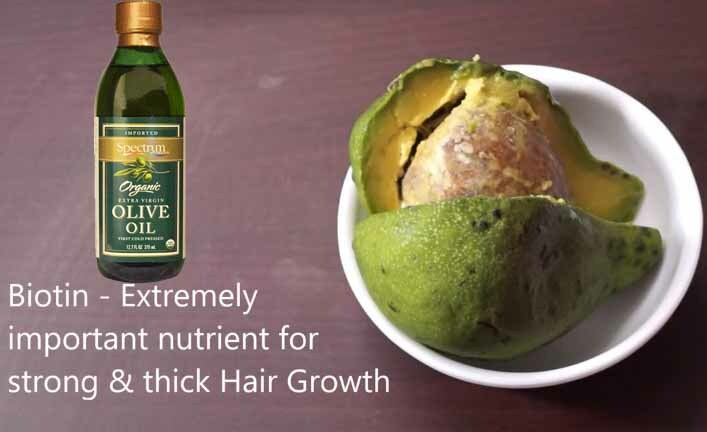 It also contains good source of protein, Iron, Vitamin A, Vitamin B, Vitamin E and omega 3 fatty acids that simulates healthy growth and reduces hair loss. 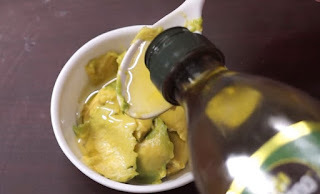 How to use Avocado for healthy, strong, silky, soft, shiny and fast hair growth? Take a avocado and just cut into two halves then remove the seed. Use fully right avocado, with help of spoon just take out the flesh and put on clean bowl and add around two tablespoon of Olive oil. If avocado is soft then mash it with the help of spoon and if it is hard then you can blend it with the help of grinder. 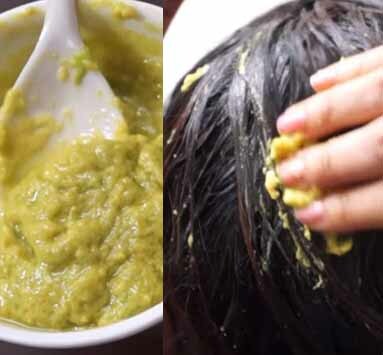 Then you will get your extremely nourishing and moisturizing avocado hair mask. Use method Avocado Hair Mask: - To use avocado hair mask what you have to do just massage with this mask on your hair scalp and into your hair. After apply hair mask rap a plastic bag over your hair to maximize the effect of this mask and then leave for up to One hour and then wash off it with mild shampoo and conditioner. It works extremely well on dry brittle hair and it makes your hair grow faster. 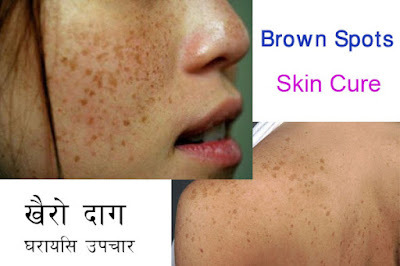 It also prevents split ends and hair loss and makes your hair shinier and silkier. So use this hair mask once in a week for up to a month to see results.